FIT College is a Registered Training Organisation (RTO) or Education College. Our head of operations is located in Maroochydore, on the beautiful Sunshine Coast, QLD. 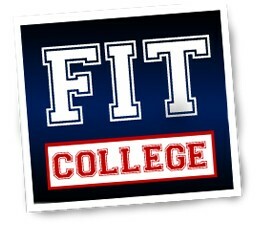 FIT College has campuses located in Maroochydore, Cairns, Toowoomba and Hervey Bay. Along with these key on-campus locations, we are also accessible to the entire QLD and Australia regions via our cutting edge Online Learning Platform. FIT College specialises in Fitness and Education courses for the public in both on campus and external (online) modes of study. Our expert team has over 75 combined years of experience in the Fitness and Education Industry - so, if you want to kick start a career, or looking for a change - let FIT College fit your career! At FIT College we strive to facilitate industry-leading Fitness education. Whether you are looking at becoming a Gym Instructor (Certificate 3 in Fitness), Personal Trainer (Certificate 4 in Fitness) or other qualified Fitness Professional - FIT College provides the highest quality and work ready Personal trainers in the industry. FIT College graduates are confident and competent in their field and are sought after all over Australia. Situated in Pialba, the heart of Hervey Bay QLD, Kinesiology College Hervey Bay allows students from the Wide Bay Burnett and Fraser Coast region to study close to home in a relaxed and professional setting. Being a small intimate college, we offer you flexible delivery in a supportive environment. You can begin your studies with a short course over 6 evenings, or you can enrol in Certificate IV in Kinesiology (HLT 42807). 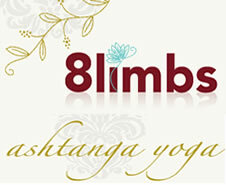 the opportunity for personal growth and new insights on life as well as improved health. the chance to help your friends and family become healthier, happier and less stressed. all the skills you need to start your own business in an exciting and rewarding field. Life Education is the largest non-government provider of health education to children and young people, Australia wide. Our Mission is to empower children and young people to make informed choices for a safe and healthy life. We work with and through schools. We build the capability of young people by challenging their values and attitudes, expanding their knowledge and developing their skills. We motivate, encourage and empower them to exercise real choice – and make informed healthy lifestyle decisions. CEA is Sydney's most established provider of pre natal classes. CEA is affiliated with national and international childbirth education groups. We provide childbirth and parenting courses and promote the interests of families during the reproductive years. In all activities we have a commitment to excellence. Regardless of the outcome, birth is more likely to be a positive experience if the parents are well prepared. Parents have a right to be well informed and participate fully in decision making. Childbirth Courses are most effective when the partner or primary support person is involved. Childbirth courses are most effective when conducted in small groups. We are the leading APFA Accredited Training and Supply centre for the Beauty and Nail Industry. We specialize in short comprehensive part-time courses (Novice and Advanced) with experienced and award-winning dedicated tutors. The Australian Centre for Grief and Bereavement is an independent, not for profit organisation which opened in January 1996 and is the largest provider of grief and bereavement education in Australia. Registered as a public benevolent institution the Centre receives operational funding through the state cancer and palliative care program of the Victorian Department of Health. The Australian Centre for Grief and Bereavement offers quality education and training opportunities for health professionals, students, volunteers and any other individual or agency desiring to enhance grief and bereavement knowledge and practice. Education and training programs are offered as seminars, workshops, short and long courses and customised training that meet the specific needs of organisations and agencies. 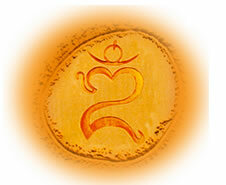 Premier College for Natural Health and Beauty Therapy education. University affiliated, VETAB Accredited and Austudy/Abstudy/Youth Allowance approved courses are available. Over 80 short, professional and distance education courses available full and part-time including; Naturopathy, Botanical Medicine, Nutrition, Homeopathy, Remedial Massage, Sports Injury Therapies, Remedial Therapies, Natural Beauty Therapy, Nail Technology, Make-up Artistry, Aromatherapy, Reflexology, Corporate Stress and Iridology. Please call for a free copy of the College Prospectus.